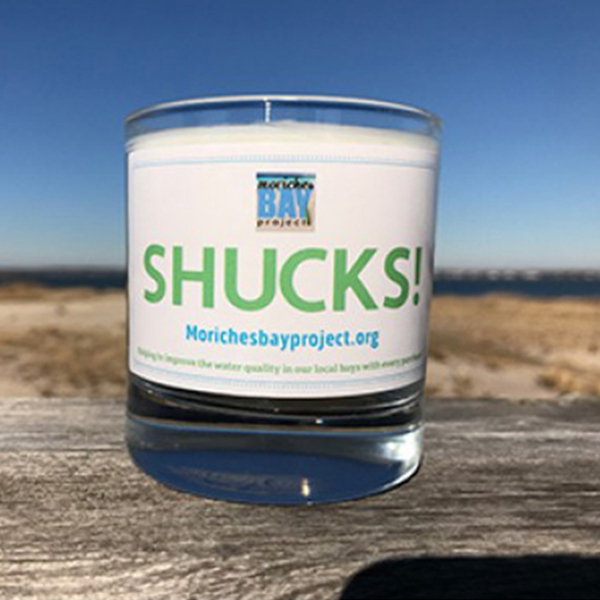 The Moriches Bay Project now offers beautiful candles for sale. Crafted by Hamptons Handpoured, these candles make a great gift and support our bays! Each candle features a lovely bay breeze scent. Each candle is poured by hand in the heart of the Hamptons using 100% high quality, clean burning SOY. The candles are 100% American grown, natural soy with high quality, plant-based fragrance oils all poured into heavy weighted bottom Libbey glassware with cotton wick.